The car of tomorrow: iPhone on wheels or data capture tool? Tomorrow’s cars will be ‘iPhones on wheels’. Honestly, if I hear another car company boss say that I swear I’ll stick a Tumblr up his YouTube and he’ll no longer be my Facebook friend. Car chiefs today are obsessed by connectivity. I hear more today at car press conferences about phoning friends, voice-activated messaging, streaming music, sat-nav and apps than I do about engines, handling and ride quality. The headline ‘innovation’ for the new Citroen C3 was its connected camera. Those great old DS engineers would be spinning in their hydropneumatic graves. It is partly because car companies have been rubbish at connectivity for years. They are also desperate to woo millennials, who apparently have to be continually connected to lead fulfilling lives, and are about as interested in cars as Homer Simpson is in an evening jog. So that means on-board Wi-Fi, Bluetooth, 24/7 connectivity etc. With all this going on, goodness knows how anyone is going to be able to concentrate on driving. I fear, with this new breed of fully connected cars drivers will become like many of today’s pedestrians, walking around fixated by their screens, paying no attention to where they’re going, immune from the outside world, smartphone sleepwalkers turned into driving zombies. Our phones may be smart but people are getting stupid. When permanently connected to the internet, we are disconnected from each other. This is hazardous on the pavement. It’s positively dangerous on the road. As I write, the government has just increased penalties for mobile phone use while driving, and good thing too. But hands-free is still legal. Never mind that what matters is keeping your mind on the road, not your hands off your phone. We should be concentrating on the tarmac, not on our touchscreens. Voice activation means we can send texts, tweets or Facebook messages. Just ask Siri. We can book restaurants and car parks, and find the cheapest fuel, all while on the move. Spotify puts the world’s music library just a click away. You can phone a friend to relieve the tedium of driving. Scores of apps are being developed to make driving more ‘entertaining’ (ie to take our minds off driving). So while the government urges us to put those smartphones away, the car industry wants to put the wretched smartphone at the heart of your car. At this rate, fully autonomous cars can’t come a moment too soon. Some of the new connectivity is welcome, of course. Sharable digital locks, enabled by on-board Wi-Fi, will open new car-usage possibilities. Owners could authorise garages, via an app, to collect and return cars after servicing. They don’t need to be at home, or even in the country. These sharable locks also allow owners to form their own car sharing networks, and use their vehicle like an automotive Airbnb. 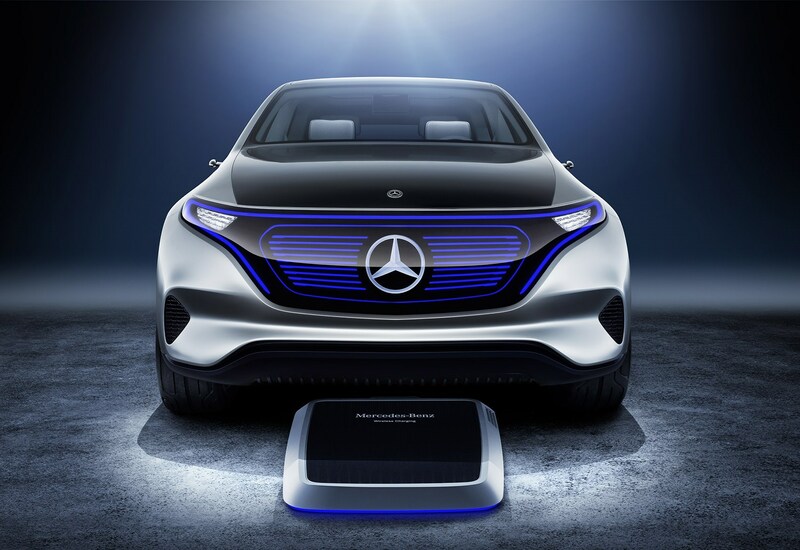 Mercedes is planning this with its new EQ (above). Connectivity can make cars safer, allowing them to communicate with other cars and objects, boosting their ability to avoid accidents. But when car connectivity takes our minds off the drive, it is stupid technology. I also wonder if the car industry has really thought through its new love affair with Silicon Valley. As cars become more connected (and eventually driverless) and electrified (and eventually fully electric), tomorrow’s cars will be very different. So will car companies. Sebastian Thrun, the tech genius behind Google’s driverless car programme, and probably the most influential ‘auto’ engineer of the early 21st century, reckons autonomous vehicles could cut the total car population by up to 96 per cent. After all, only about 4% of cars today are in use at any one time. Other studies put the figure at 40%. Either way, car production is likely to plummet. Many of the distinguished engineering jobs at the heart of today’s car industry will disappear. Dynamic engineers (no more driving), safety engineers (no more crashing) and powertrain engineers (no more pollution from internal combustion engines) will go the same way as boatswains and wainwrights. The important jobs at these slimmed-down car makers will be the designers, marketers and electronic engineers. 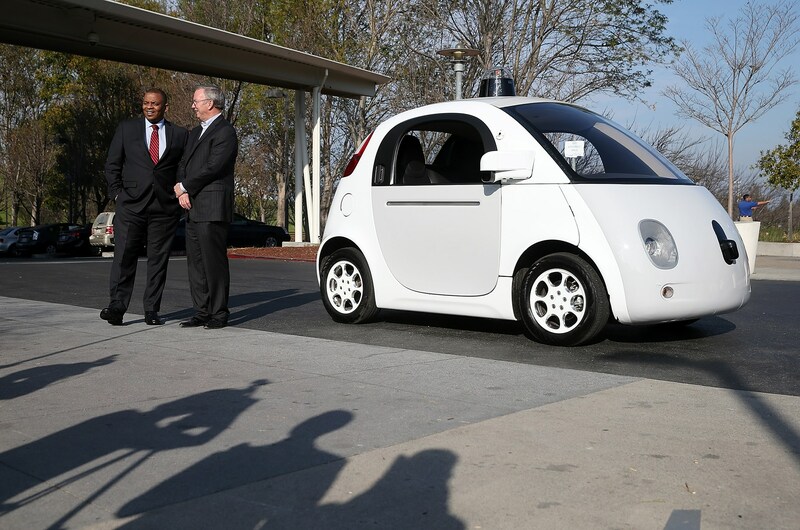 Should it concern car chiefs that these are very skills at which Silicon Valley excels?